Quality Healthcare For The Whole Family! Dr. David Ray was raised in Bridgeport, Texas and graduated from Bridgeport High School. He then went to the University of Houston and graduated with a B.S. in Pharmacy in 1968. He came back to Bridgeport and worked as a pharmacist for two years at The Corner Drug Store. During that time he was a Boy Scout leader and taught chemistry at the high school part-time. 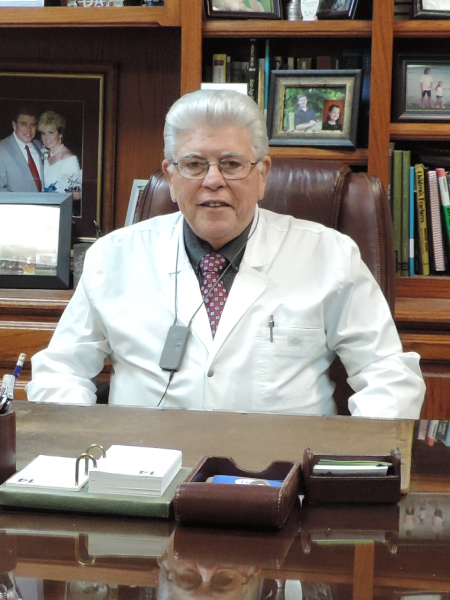 In 1970, a doctor friend convinced him to enter medical school at the brand new Texas College of Osteopathic Medicine, the first Osteopathic school in the state of Texas. He was instrumental in helping the school to acquire preceptors for the students and graduated in 1974 as the president of the first class at “TCOM,” as it is still called. He then went to El Paso to do his internship at Texas Tech University Health Sciences Center. His first practice, a partnership with a fellow graduate, was in Snyder, Texas. Dr. Ray was soon wooed back to his hometown of Bridgeport in 1976, where he has practiced since that time. He practiced in his childhood home until he built a new clinic in 1992. Built one block from Route 380 on 9th Street, it was the first building in the area. Dr. Ray had to build the street in front of the clinic, and he named it after his father, long-time banker Woodrow Wilson Ray. The clinic also housed a pharmacy and a surgery center. The surgery center closed in 2008 after Dr. Ray’s efforts to bring a new hospital to Bridgeport were successful. He presently serves as Medical Director of Family Clinic, Laboratory Director of Family Clinic and Medical Director of Senior Care Nursing Home. He is a Certified Federal Aviation Medical Examiner and a Certified Impairment Evaluation Workers’ Compensation Examiner. Dr. Ray is the past president of TCOM Alumni Association and was “Practitioner of the Year” in 1974. He was named to Bridgeport High School’s Wall of Fame in 2005. He served his country in the Army National Guard and retired as a Staff Sergeant in 1968. He is a member of professional organizations TOMA, AOA, TMF, and AOBFP. He and Sue are members of Pleasant View Baptist Church. 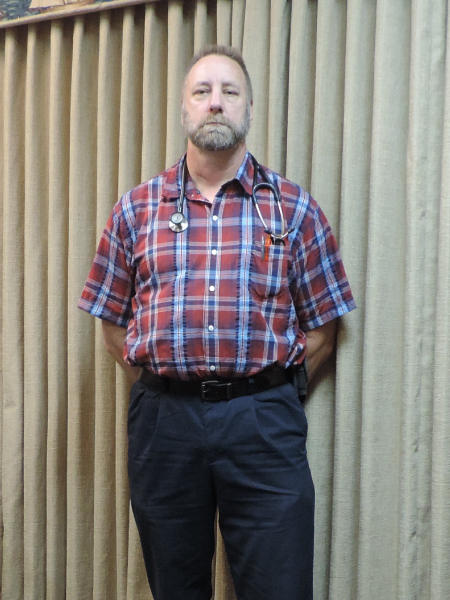 Dr. Ray is married to his wife Sue, who shares his love of medicine and works in the clinic with him. Together, they have five children and 12 beautiful grandchildren, who love to visit their home on Lake Bridgeport. Dr. Ray is a pilot and owns a Cessna 182 airplane, which is housed at Bridgeport Airport. His favorite thing to do is to fly on a clear day. Dr. Ray is also an avid sailor and loves to be out on the lake. Mike Millis was raised a "military brat", moving often during his childhood between Georgia, the Carolinas, Colorado and California. He met his beautiful bride, Suzie, in Colorado and joined the Air Force as an enlisted medical technician in 1984. They were stationed in Mississippi when God and the government called them into PA school. PA Millis graduated PA school in 1991 and they moved to Abilene, Texas. While deployed to Guantanamo Bay, Cuba, they realized their family would not thrive without both parents being home more, so Mike separated from the Air Force in 1995 and settled in Runaway Bay in 1996. Mike initially worked with Drs Ray and Copeland, then later worked solely for Dr Ray while finding another PA for Dr Copeland to help expand the clinic. Mike and Dr Ray enjoyed a thriving practice and strong friendship together for over 11 years, when Mike and Suzie felt God calling them back into military service. Specifically, they felt they should finish the military career and use that retirement to move to Latin America on the Christian mission field full time. After a few short years back in the military it became obvious that full-time foreign missions wasn't the track the Lord meant for them. Mike and the Rays stayed in touch over the years, so it seemed very natural to move "back home" and start again at the Family Clinic. During their Air Force years they were stationed in Biloxi, Wichita Falls, Colorado Springs Abilene, California, Albuquerque, and Bossier City, and Mike has had long-term deployments to Cuba and Afghanistan, as well as short term military missions throughout Western Europe, the middle east and a large number of stateside bases. He has worked with the Air Force, Army, Navy, State Dept, USDA, DEA, USAID, and other agencies during his military career, retiring as a Lt Colonel September of 2016 with 21 total years of military service. Mike is certified in medicine by the National Commission on Certification of Physician Assistants and licensed by the Texas State Board of Physician Assistants. He has been married to Suzanne Millis over since 1984 and has four children: Devin, Kiersten, Caitlin and Aaron, and two grandchildren; Gabriel and Huxley, with one on the way, Cailynn. Patricia (Patty) Espinoza was raised in lingleville, Texas where her parents still reside. Parents me to the United States as immigrants at the age of 15 and 18 years old to start a new life and provide a better living for the new family that they would start. Her parents did not speak the English language but as the children began school and started speaking English they soon learned the English language. She is truly very proud of her parents and all that they have accomplished. They learned to read and write without any formal schooling. They always encouraged their children to study and be the first to graduate from High School and continue their education being the first to also graduate with a college degree. Patty graduated from Tarleton State University, Stephenville, Texas with a Bachelor of Science in Nursing, December 2005. After graduation she started her nursing career with Texas Health Resources in Fort Worth, Texas. Working within the Texas Health Resources system in several specialty units: Medical/Surgical Telemetry Unit, Emergency Department, Intensive Care Unit, CVCU (Cardiovascular Unit) until 2015. 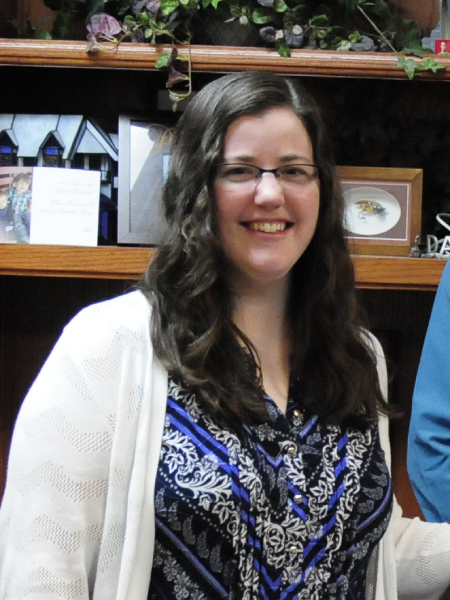 In August 2014, she completed her Master's of Science in Nursing with a focus as Family Nurse Practitioner. November 6, 2014, passed Texas State Boards as a Certified Family Nurse Practitioner. She started her Family Nurse Practitioner with Health Services in North Texas in Denton, Texas at the Women's Clinic in 2015 focusing in Women's Health. She gained a vast array of knowledge in Women's Health and had the opportunity to utilize her Spanish since the majority of patients were Spanish speaking. She has always had a heart for the Hispanic Community feeling that she could make a difference for this population. Being able to speak Spanish allows her to communicate with her patients, understand, and educate them in their Native language. 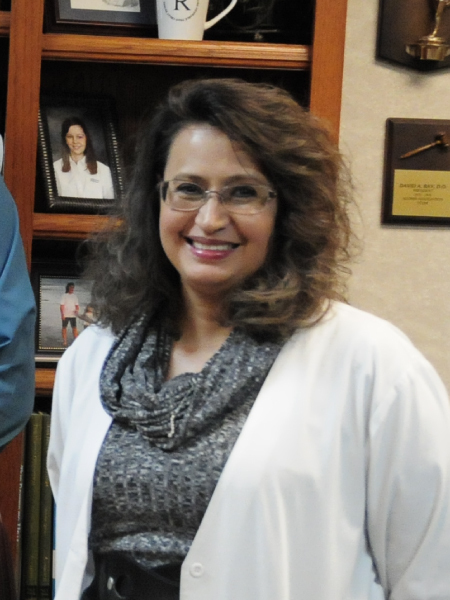 She is excited to now starting at Dr. David Ray's Clinic as a Family Nurse Practitioner. She is excited to become a part of the community and provide quality care to the residents of Bridgeport and the Hispanic population. Jennifer Mullican was born and raised in Austin, Texas. She studied at Texas Tech University, where she got her undergraduate degree in biochemistry in 2013, becoming a third generation Red Raider graduate. From there, she went on to get her Masters in Physician Assistant Studies, also through Texas Tech, in 2016. Jennifer began working at an orthopedic clinic in the DFW area, but soon realized she wanted to get back to family practice, and is excited to begin that journey with Dr. Ray and his team. Jennifer enjoys music of all sorts. She plays the piano, and played the trumpet throughout school, even enjoying time as a member of the Goin' Band from Raiderland. She has also been active in the Special Olympics community, volunteering for and coaching many events. Her youngest sibling, William, has Down Syndrome, and she is very passionate about advocating for the acceptance and inclusion of individuals with special needs. In her free time, she likes to explore new places with her dog, Mycroft.